Try as I might, I couldn’t replicate these numbers, so I asked CAAR for clarification; as soon as I receive that I will post it here. CARR staff really are extremely helpful and responsive. The answer I received was very technical, with words such as query, local table name and other such cryptic terms. 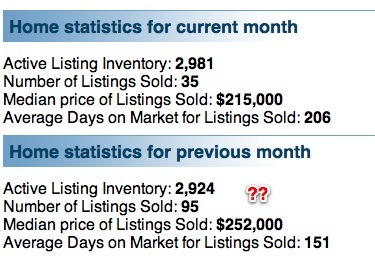 🙂 The short answer is: For February, it isn’t 95 homes sold, it’s 138. Further, for starters, how do they define “CAAR”? – Is it “Charlottesville/Albemarle”? Charlottesville MSA? All of the MLS (about 30+ counties)? 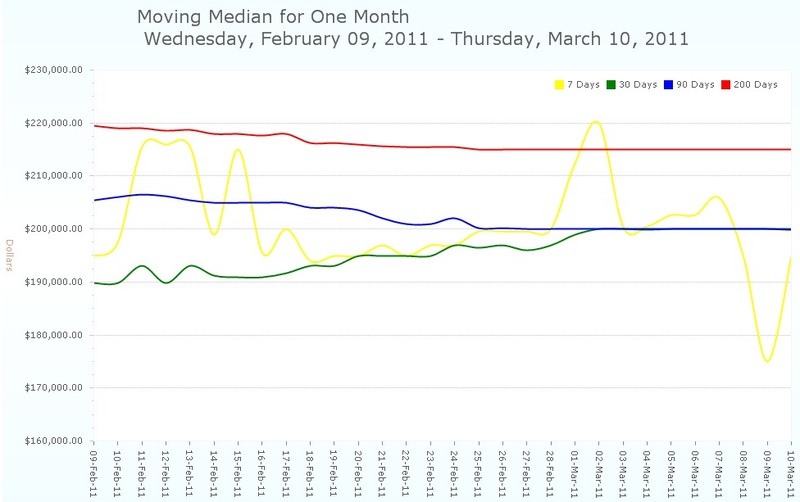 – In Charlottesville/Albemarle in February 2011, 66 homes sold. 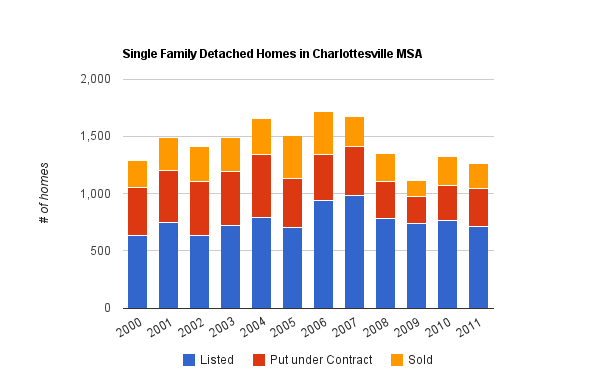 – In Charlottesville, Albemarle, Fluvanna, Greene, Nelson, 106 homes sold. 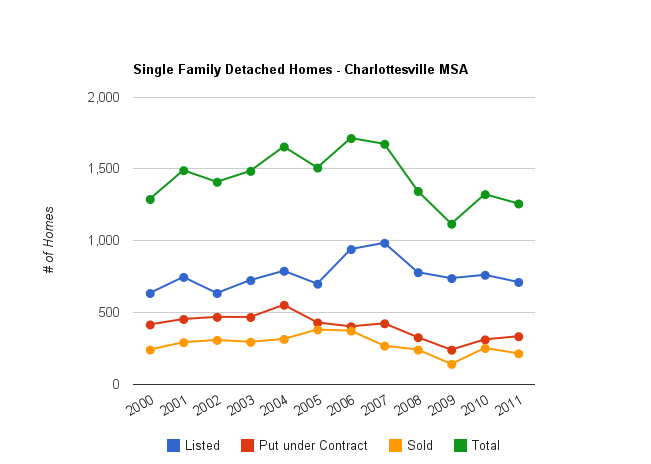 – In Charlottesville, Albemarle, Fluvanna, Greene, Nelson, Louisa, 133 homes sold and 172 went under contract. – In the entire MLS, (which is mostly irrelevant to my readers) 455 homes sold. 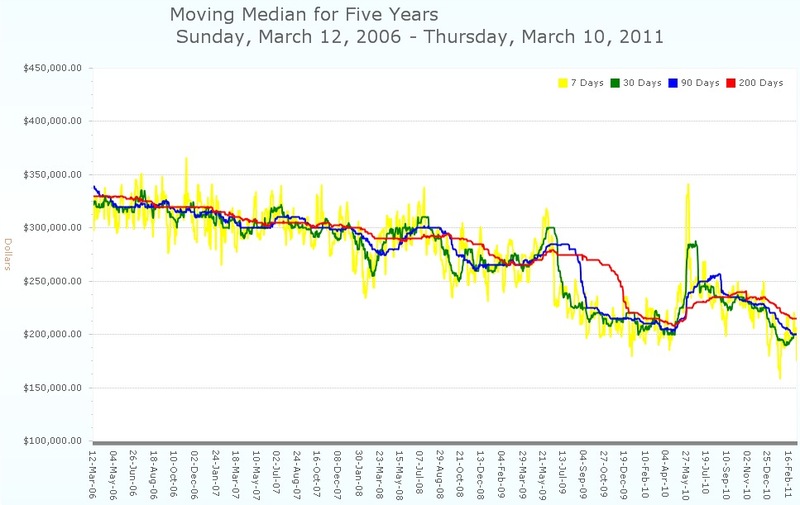 As always, raw data is at the bottom of this post. I don’t envy local reporters; they are given limited time and resources to report on a complex subject. Boiling the real estate market to a 90 second clip inevitably will lead to missing information. The reason the 95 sold didn’t sound right or reasonable to me is because I do this every day. – For consistency, I am excluding Louisa County. They are still not officially part of the Charlottesville MSA, and were not included in the market until the last five years or so. 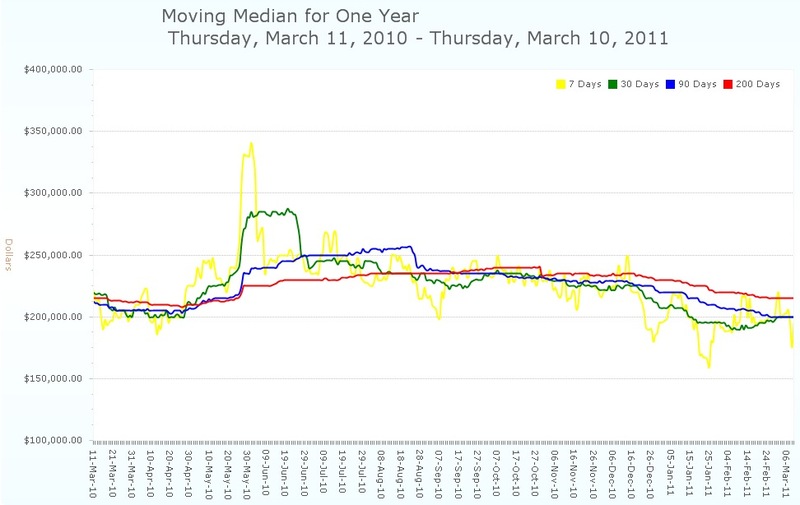 Moving median home prices for the entire Charlottesville MLS for one month, one year, three years and five years. Focus on the trend lines rather than the numbers. 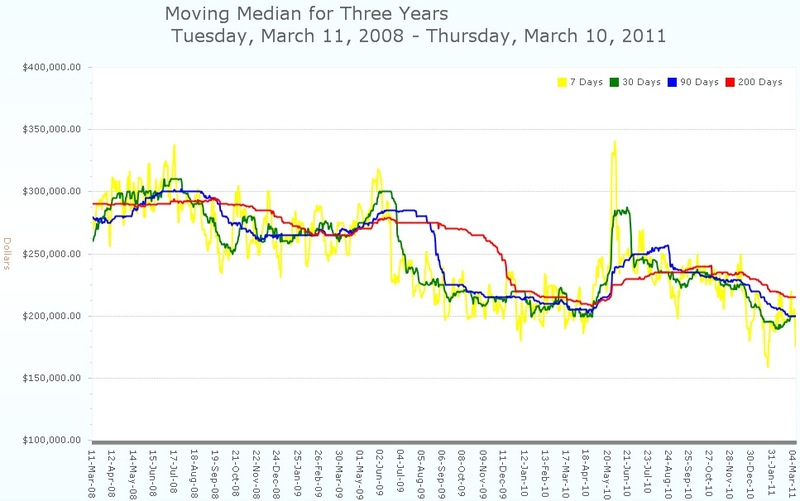 Looking at this broad of a dataset is not useful when considering what your home may be worth. .See all Friday Charts in the series.